I am so excited to share with you all Jackson’s LEGO MOVIE birthday party. 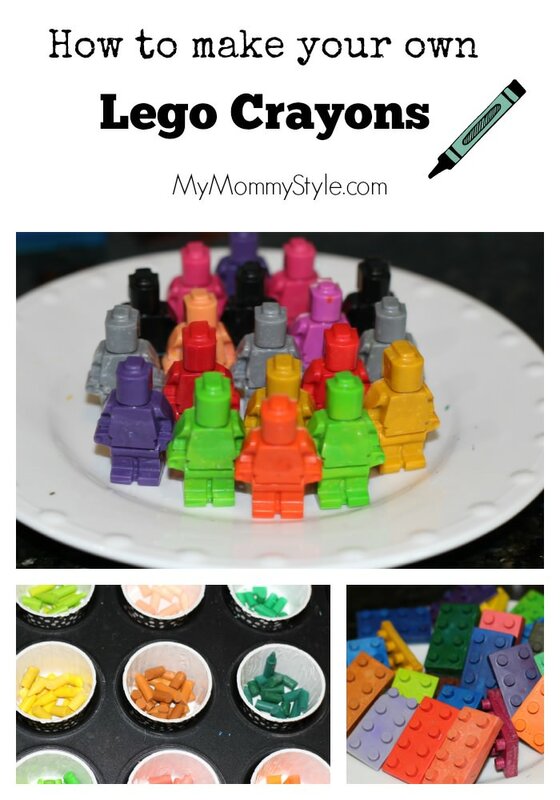 I wanted to add something personal to the “goodie” bags that the kids would be going home with and decided to make my own LEGO brick and LEGO figurine crayons! 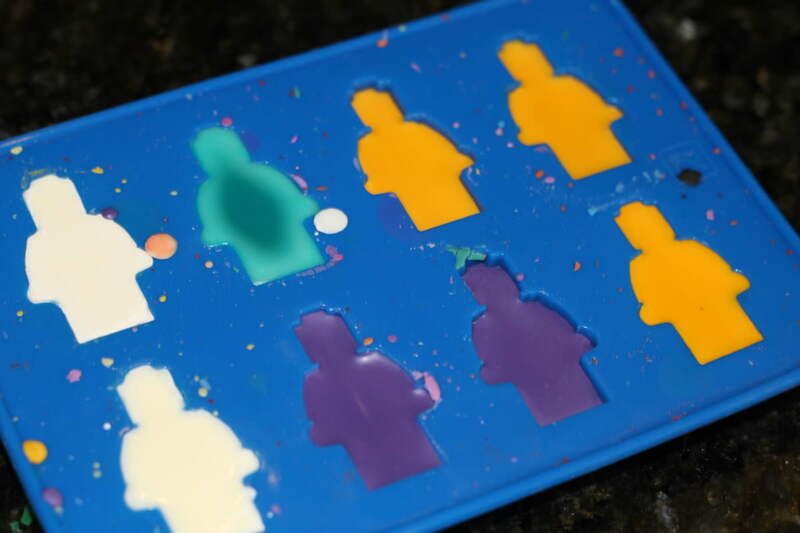 There are etsy stores that sell them in packs if you don’t want to bother making them yourself, but I thought it would be fun to be able to make LEGO ice cubes, LEGO chocolates, or LEGO crayons. Honestly they were so easy to make and when you can buy both molds for less than $10 from Amazon, I figured why not. One of the things that takes the longest is unwrapping all of the crayons. I bought three jumbo boxes of crayons from the dollar store and was able to make enough crayons for 13 guests. Each kid was able to have 3 figurines and 2 bricks. 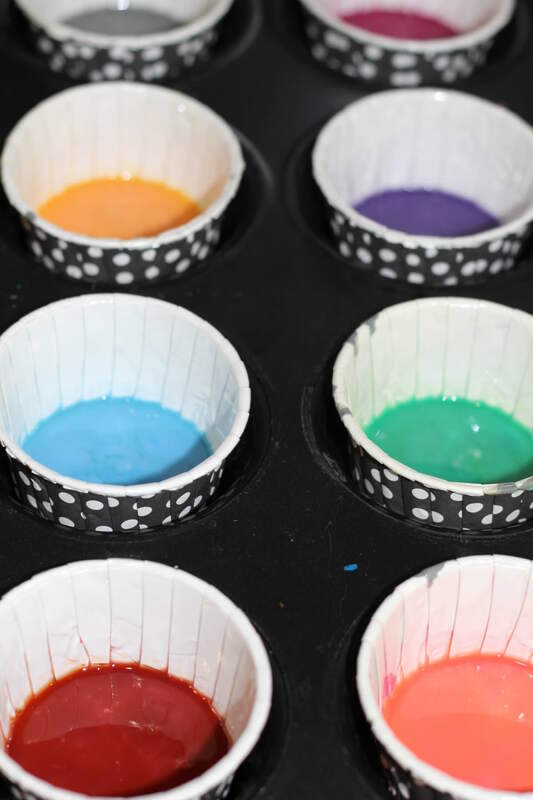 The bricks do take more crayon so if you want them thicker/thinner you could make more or less. The dollar store crayons are more waxy than crayola crayons which in this case made for great figurines but they don’t color extremely well. I figure this isn’t that big of a deal because I would rather have a figurine that forms well and it didn’t cost a fortune to make them for the party guests. Party favors for 13 kids for less than $15. SOLD. ***You can see in the picture above that the wax in the brick mold are bubbly. I was experimenting with a different brand of crayon and found that the temperature of 350 F was too high. So depending on which brand of crayon you are using you may need to adjust the temperature. And that’s it! The kids absolutely LOVED them! Stay tuned for the whole LEGO MOVIE birthday party soon!